There were 24 billion ACH payments made in 2015 – about 1.3 billion more than there were in 2014 and the second straight year that ACH transactions grew by more a billion. To us, it’s not surprising. And a boatload of credit, pardon the pun, goes to NACHA, the governing body of ACH payments. In a climate of instant payments, NACHA has not only kept ACH relevant among many (faster) payments alternatives, we think ACH transactions will continue to grow. Interest: Though interest rates might be low, merchants will keep their money longer with same day ACH because processing happens within a day. Within two years, the 3-4 day processing window will be reduced to same day processing. Secure Payment Method: While credit and debit cards are under attack more than ever, ACH payments have much lower fraud rates. Convenience: The use of electronic checks eliminates paper checks, postage stamps and envelopes. Additionally, most every bank in the U.S. has ACH capability. It’s going to take a couple years, but ACH payments are here to stay. The rollout of same day ACH is going to happen in three phases beginning Friday, Sept. 23, 2016. Phase 1: Phase 1 will involve only ACH credits and transactions (under $25,000) between U.S. banks. Those banks supporting same day ACH must process payments sent to them the same day, but banks can hold the funds and process them 2-3 days later, as they do now. Phase 2: Effective Sept. 15, 2017, Phase 2 involves ACH debits between U.S. banks with transactions under $25,000, similar to Phase 1. It will enable merchants to withdraw funds from a customer bank account the same day the transaction is originated. For subscription merchants – such as magazines, nutraceutical supplements or gym memberships – it is extremely beneficial: payments can be initiated and settled the same day. Phase 3: Phase 3 goes into effect Mar. 16, 2018. As of this date, banks are required to deposit funds from an ACH transaction submitted earlier into the merchant account by 5:00 that very day. ACH payments aren’t just for subscription and memberships merchants and those who oversee payroll. Instabill has ACH solutions for industries such as tech support, gaming, debt collection, consolidation and lending. 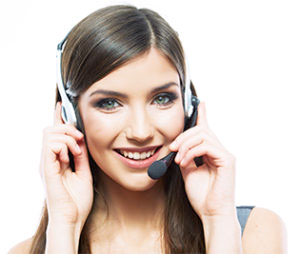 Our merchant account managers are available by calling 1-800-318-2713 or by selecting the live chat option below.